On the heels of the All Systems Go! Retro Video Game night…we present Phog’s Retro Arcade. We have several systems waiting to go including an Intellivision, Sega Genesis, NES, Super Nintendo, Nintendo Game Cube, and some promises of Atari and other… systems to be shared on our monthly nights. Last time we did this, it was a rousing success, filled with people switching from system to system. It was awesome. 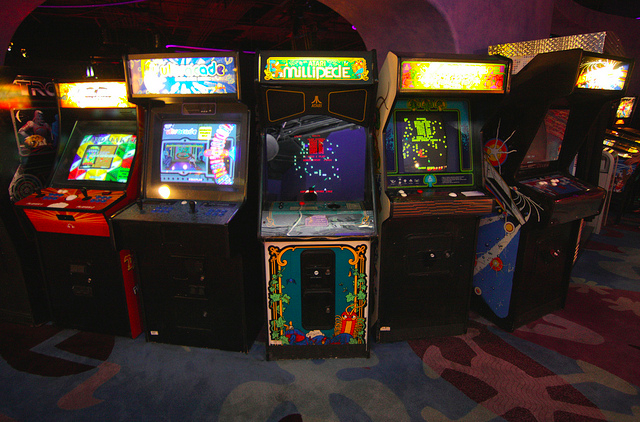 This entry was posted in show promo and tagged All Systems Go, free, Retro Arcade, video games. Bookmark the permalink.